The ultimate King Joe action figure! Based on the Japanese science-fiction TV series Ultra Seven. Features new sculpting and distortion-free articulation! 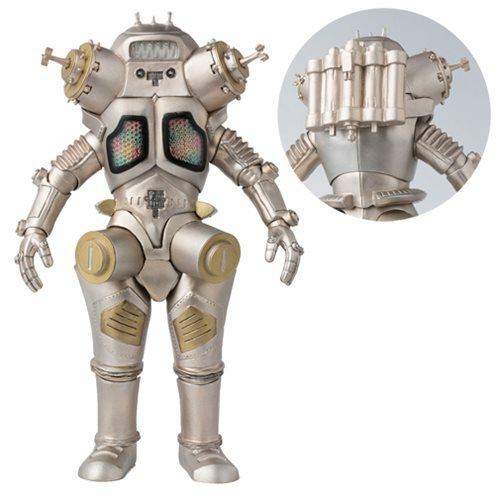 An iconic character from the Japanese science-fiction TV series Ultra Seven joins the SH Figuarts lineup! New sculpting accurately captures King Joe's asymmetrical styling, conveying all the detail and charm of the on-screen character. Also designed to take-on classic poses without ruining the figure's silhouette, the 6 3/10-inch tall Ultraman Ultra Seven King Joe SH Figuarts Action Figure is the ultimate action figure of this character! Ages 15 and up.